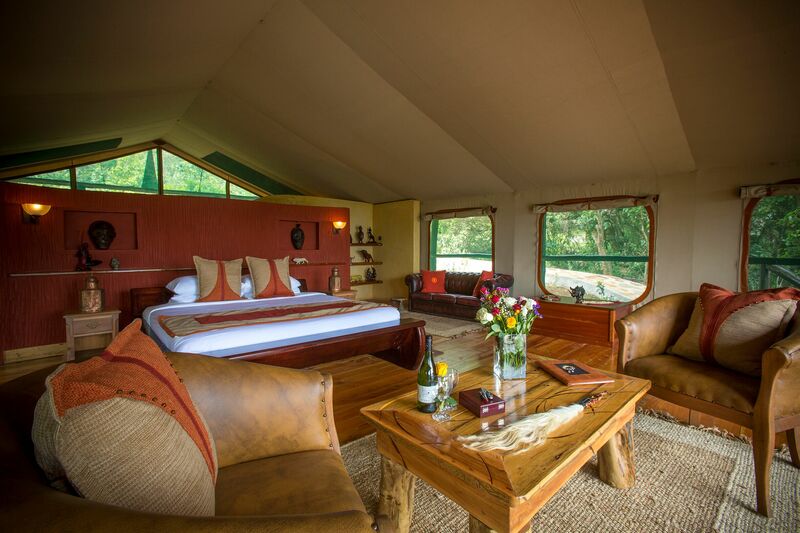 This distinctly unique Mara Engai Wilderness Lodge is nestled amongst pristine Kenyan Ravine forest on the Oloololo (Siria) Escarpment. Overlooking the amazing Masai Mara National Reserve and Wildebeest Migration Route‚ 1‚000ft below. With around 120km of unbroken views across the vast savannah of the Masai Mara – it is simply breath-taking. 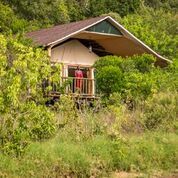 Upon arrival at the airstrip‚ you will be met by a driver/ guide who will transfer you to the Lodge to check in‚ from the airstrip you will enjoy a short game drive viewing. After lunch you will depart for a late afternoon game drive or enjoy other activities offered at the camp. 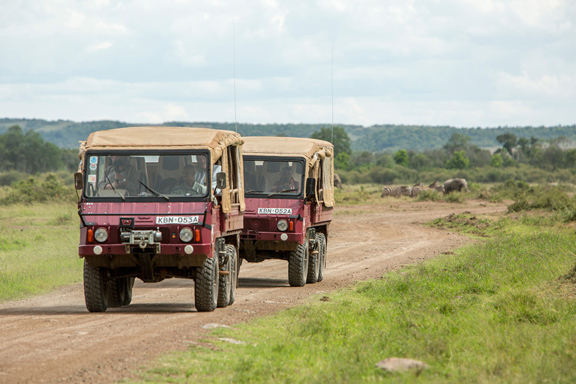 Early morning game drive conducted in unique safari vehicles and accompanied by an experienced driver guide. Lectures on wildlife conservation and culture are regularly given.